A versatile writer, she writes about many topics including lifestyle, weddings, family, food, health and fitness, women’s interest, education and consumer news. Kristen is also the author of the e-book, "Weddings on a Dime: How to Plan Your Big Day Without Breaking the Bank." 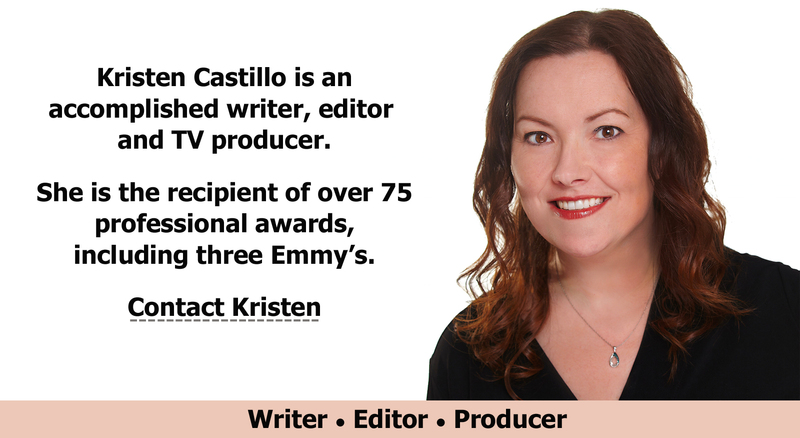 She’s president of the San Diego Press Club; vice president of The National Academy of Television Arts and Sciences Pacific Southwest chapter; and a member of the Society of Professional Journalists. A graduate of Fairfield University, she lives in Southern California with her husband and two sons.